Have You considered Hiring A Financial Adviser? Many are uncomfortable with investing and managing money in general. With the Federal Reserve intentionally keeping interests rates artificially near ZERO do we ladder CDs to make less than 1%, buy Treasuries with historically low yields, or invest in the market with its inherent risks? If we do invest in the market what stock and bond mix will not only preserve but grow out nest egg? If we are doing this on our own do we buy individual stocks and bonds or invest in indexed mutual or exchange traded funds that often have very low management fees. Up to 5 years ago many retirees were able to ladder CDs making 5% or more with 48 month or longer maturities. Also, for those in the TSP many kept large amounts in the safe G-Fund with good yields. Unfortunately those days are long gone and I’m not sure when, if ever, they will return. Often, one or the other spouse takes control of finances and manages investments for the family. If the person in control knows what he/she is doing, and has the time and energy to invest wisely, that often works fine as long as that person doesn’t take undue risks with your family’s life savings. I basically assumed this responsibility with my family and have done this for years. Even though I manage the investments I discuss options and strategies with my spouse to solicit her input and she is knowledgeable about all of our accounts. For situations where neither partner is knowledgeable about investments federal employees and annuitants often rely on the TSP Life Cycle Funds to steer them towards retirement. Annuitants often consider investing in the L Income fund, a conservative choice with the majority in the G-Fund yet enough in the other funds to provide some growth even in retirement. Of course, there are other investments that must be managed such as IRAs, private sector 401Ks, brokerage accounts, savings bonds, savings and money market accounts, and so on. Today, the very low rates of return are forcing many to choose higher yielding riskier investments than the typical FDIC covered or Treasury issues. Request a Federal Retirement Report™ today to review your projected annuity payments, income verses expenses, FEGLI, and TSP. The problem with having one person managing investments is that when that person becomes infirm or dies the surviving spouse is generally at a disadvantage. They will have to turn to another family member or financial adviser to help manage and preserve what has taken a life time to accumulate. Hence the need to establish a relationship with a knowledgeable financial adviser while both are alive and healthy. Walter Updegree writes for Money Magazine and in an article on this subject he advised, “when you need help with your finances, you want to find a pro who can balance your need for trustworthy advice with his or her need to make a living providing it.” This is so true, I’ve been researching adviser options for several years and if you aren’t careful you can lose a lot through high management fees, front end loads, and transaction fees. You also have to find a pro that takes the time to truly understand your goals and strives to achieve them without churning your account or focusing on certain investments excluding other more advantageous options. Many suggest using a registered investment adviser because they assume a fiduciary roll and are legally required to put your interests first in the relationship. Yet, I still am personally concerned because you are trusting a third party to manage your assets or at least a good portion of them. It is much harder to recover from a loss after retirement when most are on fixed incomes. One of the first questions an adviser typically asks is who you are investing for; yourself or your heirs. What this intimates is that more risk can be tolerated if you are investing longer term for heirs. Personally it seems a mute point, I don’t want to lose a significant portion of my investments no matter who I’m investing for even though, long-term, things may and I reemphasize MAY improve. Once you’ve accumulated a life time of savings I personally don’t want it to diminish significantly. Unlike many in the private sector federal employees have a substantial annuity to rely on in retirement. Add to that your TSP Savings, Social Security for all FERS employees and for many CSRS employees. When I first approached an adviser I informed him that I didn’t need someone to establish a plan for retirement, I was already there and able to live within our means. What I wanted was to set up an initial relationship with them so that when I’m not able to manage our accounts due to advanced age or death my wife and heirs can rely on them for assistance. I like to take things in baby steps, start small, learn about the new relationship, and then progress from there. If it works out I would transfer more responsibilities to them as I aged. The adviser we first met with discussed our situation and goals, and introduced us to an attorney to revise our wills and trusts. The first step. They also collected considerable data from us. Personally I don’t like giving out confidential information. Many federal employees, especially those who know they will be financially secure in retirement due to their annuities and other income sources, may be able to limit the information to account summaries and balances. If you need a plan to achieve financial security then you would have to provide the additional information. Most advisers request any and all information about every account, loan, asset, insurance policy, annuities, income from all sources, and much more including copies of income tax returns. In turn they offer to prepare a plan describing how, from their perspective, you can achieve financial independence in retirement. These plans are often free of charge and introduce you to the services they can provide to help you achieve your goals. Basically, they will offer several levels of support from traditional brokerage accounts, portfolio reviews with quarterly updates, asset management, advisory and managed accounts. All come with a cost of course. For example, the fees from one of the firms I contacted included trading fees for the traditional brokerage account, .25% of the account balance annually for quarterly portfolio reviews and recommendations, 1% of the account balance annually for up to $500,000 under their asset management program, 1.25% for advisory and 1.65% for managed accounts. The management fees decrease for larger invested amounts, the more they manage the lower percentage you pay them. I always consider the bottom line; how much is this going to cost me over my current costs. Remember what Mr. Updegree said earlier about finding a pro who can balance your need for advice with his or her need to make a living providing it. Yes, it is going to cost you more in most cases than what you are paying now to trade and manage your accounts personally. That’s not necessarily a bad thing but it is something you have to contend with. It is always difficult making a decision to pay more. If your results are what your adviser projected and you expect, and you achieve the level of desired services, then the cost will be worth it and your time will be freed up to do other things. I discovered that not all brokerage accounts are alike. My brokerage firm charges $4.95 a trade and often the fee is waived due to trading activity. They also offer all trading options such as trailing stop loss orders and options trading. One of the financial planning firm’s brokerage commissions were 1% of the trade value. If you purchased 100 shares of say Apple at $124 a share the commission would be $124 for that trade! That is excessive by any standard considering that Fidelity only charges $7.95 a trade no matter what the dollar value of the transaction is. You may want to keep your trading account with your local brokerage firm if you are an active trader. If you don’t trade much it wouldn’t be a big issue and if you are only transferring stock from one brokerage account to the financial planner’s brokerage house there wouldn’t be any transfer fees in most cases. If you are considering hiring an adviser visit the SEC site to check out a brokerage firm, individual broker, investment adviser firm, or individual investment adviser. The SEC and FINRA provide abundant information on advisers and firms that you can use to start your search. When I was searching for an adviser I wanted one that could purchase any and all investments for my account not just one family of funds or investment options. Firms that offer limited selections may be more interested in selling you a product rather than providing sound investment advice. I also suggest asking the adviser, before sitting down with them, for an updated copy of their Part 2A Form ADV. The Form ADV is the uniform form used by investment advisers to register with both the Securities and Exchange Commission (SEC) and state securities authorities. The form consists of two parts. 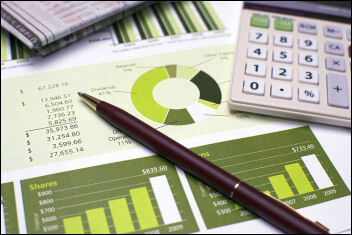 The second part requires investment advisers to prepare narrative brochures written in plain English that contain information such as the types of advisory services offered, the adviser’s fee schedule, disciplinary information, conflicts of interest, and the educational and business background of management and key advisory personnel of the adviser. The brochure is the primary disclosure document that investment advisers provide to their clients. If you are considering talking to a financial adviser contact several firms to compare options, costs and services before making a decision. The ADV forms will help you readily compare firms and advisers. Once you sign up stay in touch and monitor results to ensure they meet or exceed your expectations. If you start small, as they prove their worth you will feel comfortable expanding their role in managing your finances. It takes considerable due diligence to settle on an adviser. It’s a very personal decision and one that will hopefully make your life easier as they manage your investments in an ever changing world.